A hilarious scientific adventure story, Popular Clone by M. E. Castle is a must read! Fisher Bas is a twelve-year-old, geeky science genius at Wompalog Middle School. The son of Nobel Prize-winning parents, he struggles to fit in, while being accosted on a regular basis by overgrown goons he calls the Vikings. Tired of being picked on and listening to his parents’ claims that things will get better, Fisher uses his mother’s revolutionary Advanced Growth Hormone to create a clone, which he names Fisher Two. From the comfort of his home lab, Fisher spends the day playing video games and working on his latest inventions, while Fisher Two navigates middle school. It’s a brilliant plan, until Fisher Two becomes more popular than the real Fisher, and is then kidnapped by the evil Dr. X., sending Fisher on a dangerous adventure to rescue his clone. Oh my gosh, I can’t tell you how much the girls and I laughed while reading this book. The Lil Diva (11) and the Lil Princess (8) thought this was the best story. Not only do you have a unique take on bullying, between the crazy inventions, hilarious artwork, a flying pig, and the antics of numerous characters, how can kids not love this book. 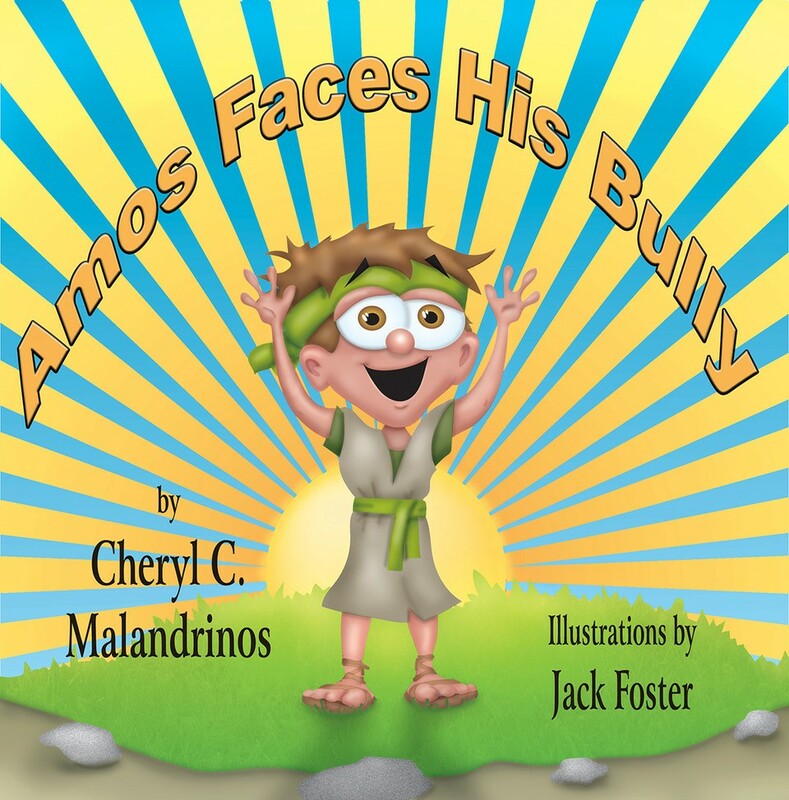 What I enjoyed most is that it tackles the topic of bullying in a light, fun manner. Bullying is a serious issue. And what this book teaches kids–though they might not even know it–is that there is a time when you will come into your own. That just because you’ve been a victim of bullying once, doesn’t mean you will be forever. Fisher’s journey after creating Fisher Two is one fueled by his jealousy over his clone’s popularity, that is then tempered by his desire to save his genetic counterpart when he’s in danger. Fisher must move outside of his comfort zone and see what he is made of in order to rescue Fisher Two. It’s not easy for every victim of bullying, but the more books that provide young people with relatable characters who do face up to or deal with their bullies, the more empowered these victims will be. Middle-grade boys are sure to love Popular Clone for its antics and adventure. But girls will find many things to like about it too. Fisher and Fisher Two are great characters that provide tons of silly moments, and some tender ones too. Any youngster who enjoys science will get a kick out of this book. This is the first book in a series by debut author M. E. Castle. The second book of The Clone Chronicles is now available. Joining us today is six year old author, LaNiyah Bailey, author of Not Fat Because I Wanna Be. This is a children’s book geared toward children ages 3-10. Thank you for joining us today, LaNiyah. Can you please start off by telling us a bit about yourself? Yes. I am six years old and will be going to first grade this year. I love playing with my puppy diva and doing girl stuff, like playing with my dolls, playing in make up with my cousins and my best friend Chase. I also love spending time with my mom and dad. I wanna say I know what this means… like when did I start wanting to write? (smiles) I started to write when I was in kindergarten and I was being teased and bullied. Why did you decide to write for children? I wanted to write for children because I am only six years old, and they can understand me more. I think it might be a little harder because if it’s not fun or interesting they may not want to read it. My favorite part is I get to meet new people and tell them my story and sometimes they tell me theirs too. Well my new book is called Not Fat Because I Wanna Be, and it is about a fictional girl named Jessica who was being bullied and teased about her weight by adults and kids. Jessica had some medical problems that made her overweight, but people never knew it. They judged her by how she looked on the outside. I went through a lot of the same things that Jessica went through and that inspired me to not sit around and feel sorry for my self but, to tell people what I was going through and hopefully that would make people see that you can’t judge people from their outside self. I would like to visit hospitals and schools around the world and talk to kids about bullying and how to stand up for themselves. I will be working on another book soon also. Well, I want kids to know that they are important and special. If they are being bullied they should not be scared or embarrassed to talk to their mom, dad or teacher about it. And if they are the person bullying someone they should stop it because it is not nice to make someone feel bad about themself, and they should think of how it would make them feel if someone did it to them. And that’s it. Thank you for spending time with us today, LaNiyah. We wish you much success. Thank you all for having me and helping me share my message. I wish you much success too. Thank you! 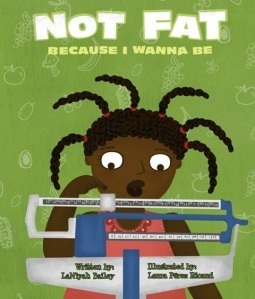 A book that shares a powerful message is what you’ll find in Not Fat Because I Wanna Be by LaNiyah Bailey. I’m not sure what amazes me more about this book: that a child of this age is selfless enough to want to be an advocate for others or that she has the courage to write her story and share it with the world. Not Fat Because I Wanna Be is a truly inspiring story that captures the importance of family love and support in tackling the issue of bullying and helping bullied kids to feel good about themselves. As someone who was teased through her school years, I’m very sensitive to this issue. Now, it seems even more dangerous than it was back then. In our local communities we have had two young people in the past three years commit suicide after being subjected to extensive bullying and cyber-bullying. Six-year-old Bailey tells her story in the first person, which helps the reader connect with her and feel the emotions she feels as the book moves along. Your heart aches when you read the names she is called; just as much as it leaps for joy when her new doctor helps her understand what is going on with her body. You cheer for her when she courageously answers a mean classmate who asks why she is so fat. And you can’t help but smile when the same girl becomes her best friend. The artwork is provided by Laura Perez Ricaud. She did a superb job in telling LaNiyah’s story in a visual way. From the cover to the very last page, her illustrations will captivate young readers and encourage questions and discussion points. 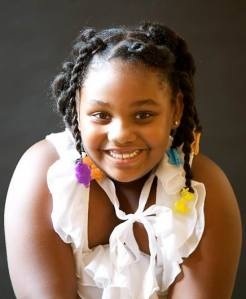 Not Fat Because I Wanna Be by LaNiyah Bailey needs to be in all our elementary schools and shared often. This book can help parents and educators open the door for discussions on tolerance and diversity. I highly recommend Not Fat Because I Wanna Be! Make friends, share the love of reading and be entered to win a FREE book! All you have to do is post the Book Lovers Blog Hop and World of Ink Tour Banners below to your blog. Promote the Book Lovers Hop and World of Ink Tours on any social network. Tweet it once a day, share on Facebook and then follow others back that leave you a comment. By joining the Book Lovers Blog Hop, you are automatically entered in our Book Giveaway! There will be two (2) winners for this Book Giveaway. Note: One book per winner. 2. Grab the button for the hop and place it in a post, sidebar, or on a blog hop page and let us know where it is in the comments section below. This will help the hop grow and gain us all new followers. It’s a Win-Win for everyone! 3. Grab the buttons for the World of Ink Tours and place it in a post or side bar. Make sure you let us know where it is in the comments section below. BTR’s World of Ink Network: Stories for Children show. 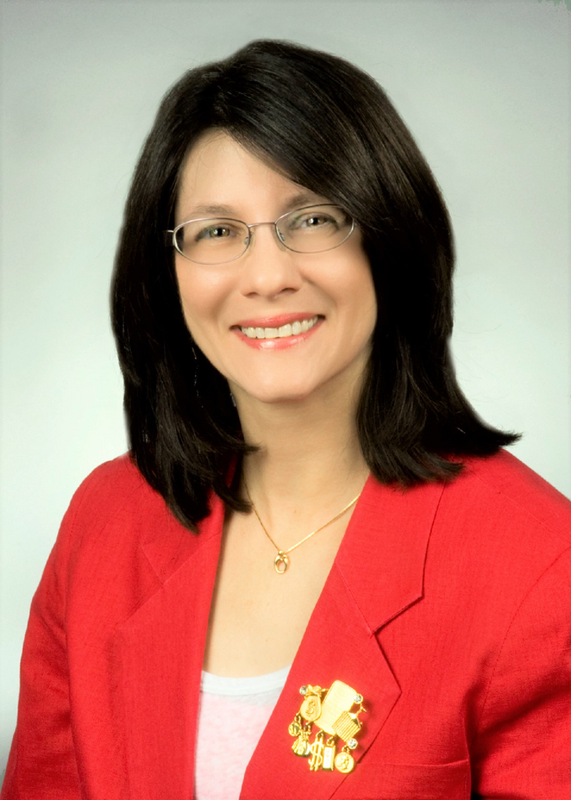 Live Radio Interview at 8pm EST at http://www.blogtalkradio.com/worldofinknetwork or call in to listen or ask questions (714) 242-5259. You can also listen on demand after the show airs! LaNiyah Bailey is a 6‐year‐old author with a message for children like her – just because you are bigger than other kids, that doesn’t mean that people have the right to bully you. 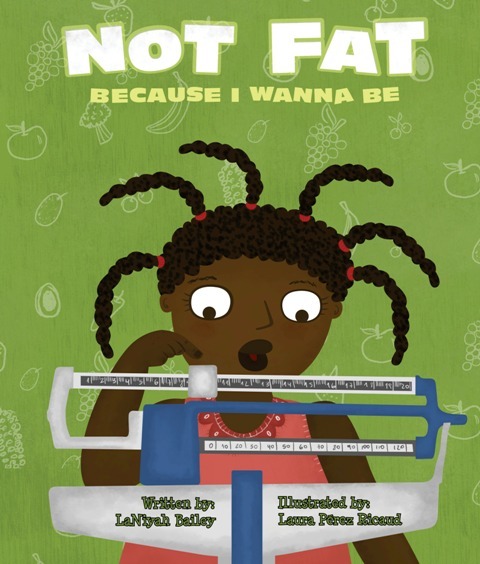 In her debut book, Not FAT Because I Wanna Be, LaNiyah details the struggle of Jessica, a fictional girl who has an underlying medical issue that causes her to gain weight. Bullied by her peers, Jessica learns to accept her body and eventually opens up about her condition to her classmates. LaNiyah is not only speaking to other children through her book, but has become an advocate for anti‐bullying organizations. Visit LaNiyah online at www.notfatbecauseiwannabe.com.